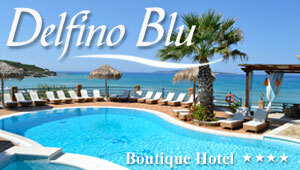 Apollo is situated above the picturesque cove of Nissaki, northern Corfu. Instructors with a vast experience in diving will make you feel safe and comfortable in all your diving sessions. Apollo centre offers numerous training courses, like snorkeling, open water, night dives and scuba diving with the latest equipment in excellent condition. The centre is only some meters away from the most exquisite diving sites in Corfu, including unique rock formations, reef sites and attractive wreck dives. We had the beste time at Apollo diving cntre in Corfu. Chris and Maria are very experienced and skilled divers and show you some beautiful diving spots. There are three shipwrecks nearby and lots of interesting stuff to see. There is a lot of respect to all the aspects of safety. Besides the owners are great to hang out with and willing to tell you everything about scubadiving and corfu. For beginners and experienced divers a great place to go. Great time diving with apollo. Very good hositality and a lot of respect towards the aspects of safety and materials. Chirs and Maria are very experienced and excellent divers and show you some incredible places for beginners and experienced. Go here!